Shanahan, speaking to reporters while travelling home to Washington, indicated a belief that the number of migrants trying to cross over from the border with Mexico will lead the Department of Homeland Security to request more assistance from the Defense Department. Some units, like aviation, increased readiness as a result of the deployment to the U.S.-Mexico border. “We’re still working with DHS to understand, enduring wise, what’s the best fit and role for us and how do we help make sure that DHS can stand up the right capability,” he said. “But just strictly on the basis of the volume and how much the situation there has deteriorated, I would expect us to do more." The acting secretary added that he expects any additional requests will be “consistent with things we’ve had in the past,” which could include setting up temporary shelters before handing them over to DHS. “To me, the situation is elastic. 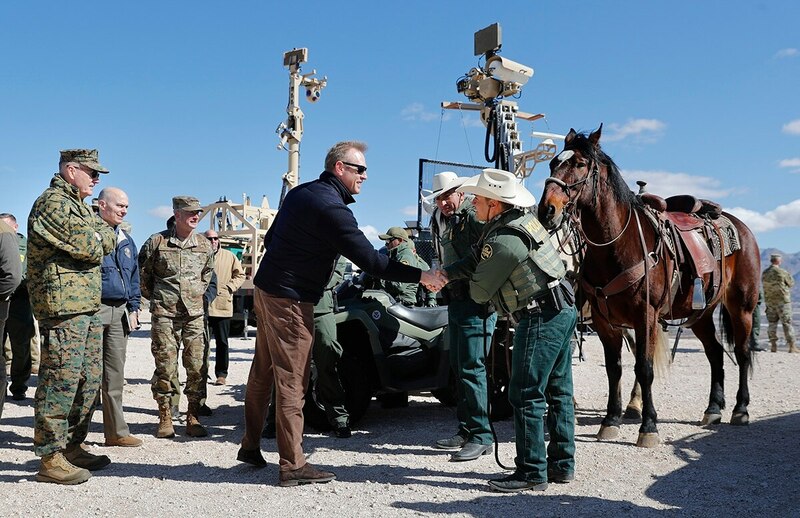 If DHS has a certain capacity and there’s a real uptick, then the response is not going to be from them generating more capacity from overtime,” he added. Shanahan’s comments come on the final day of DHS head Kirstjen Nielsen’s tenure at the agency. During an interview with Brett Baier of Fox News airing shortly after he returned to Washington, Shanahan defended the military deployments at the border, while denying that he saw “tensions” between President Donald Trump DHS Secretary Kirstjen Nielsen, whose last day at the agency was Wednesday. “These are serious issues and they require serious attention,” Shanahan said.